5.5 oz. 100% cotton knit jersey fabric with double needle coverstitch on neck seam. 1" x 1" rib collar. Taped neck. Relaxed fit. 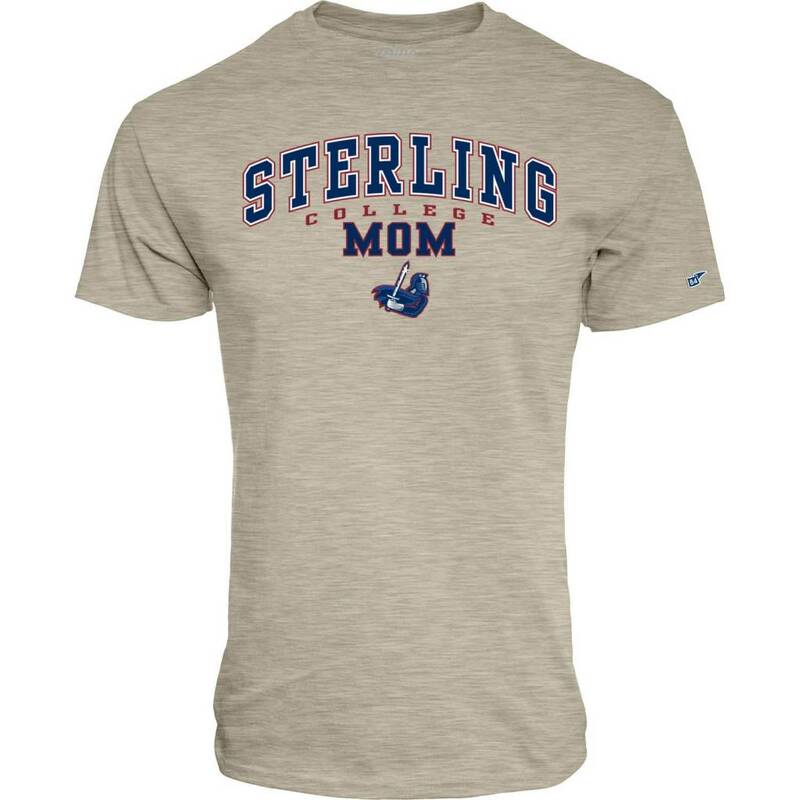 Full chest Sterling College Mom imprint.